A good cup of coffee for many people stands for the beginning of a new day or a relaxing break in the middle of the day. Not only are there a myriad of ways to enjoy coffee, but there’s nearly as many ways to make that quintessential cup of joe. If you’re wondering how to use coffee maker of your choice, then keep reading. The electric, automatic drip coffeemaker just might be one of the most popular choices on the market. This type of coffee maker has a water reservoir that is heated up upon use and then filters the water through a paper or mesh filter into a pot. 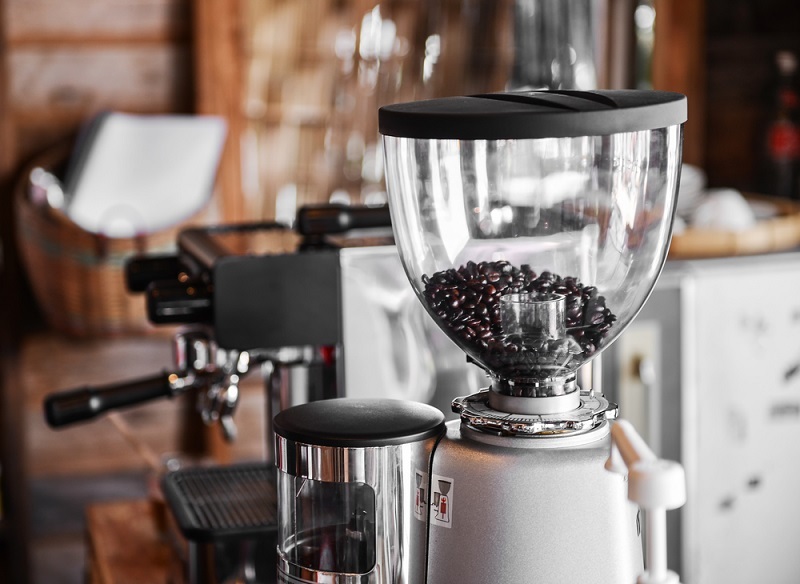 Even though this is the basic, common coffeemaker, there are several variations within this category. Some drip machines feature glass carafes and a burner that keep the brewed coffee warm for as long as the machine is on. Other versions of the drip machine feature a thermal carafe that keeps the hot coffee warm through an insulated carafe that is much like a thermos. These coffee makers may also feature timers so you can set your coffee to start at the same time you wake up. Usually these types of coffee makers have two different filter types: cone and flat bottom. You usually have the option of either using a paper filter or a mesh and plastic filter that can be dumped out and reused. Paper filters tend to be less messy and filter out more of the strong oils in coffee. 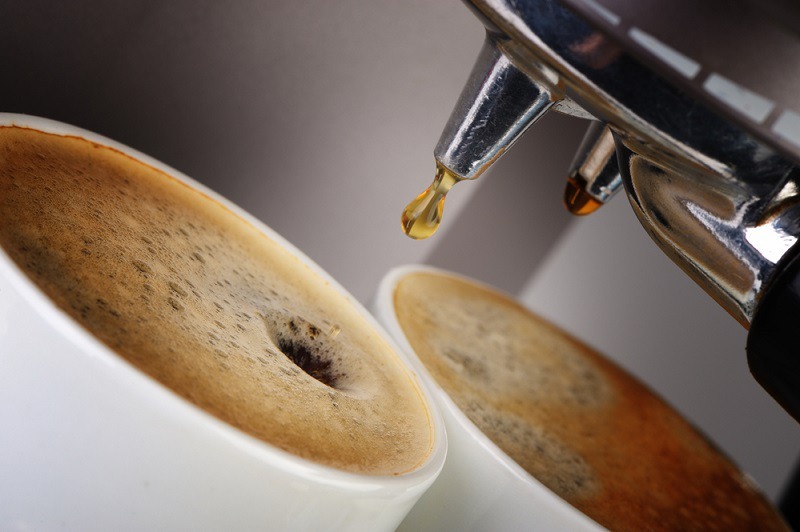 Another type of coffee maker is the one popularized mostly by Keurig and is known as the single serve brewing system. This type of coffee maker takes either prepackaged cups of coffee or reusable filters that you can fill with your favorite coffee. These coffee makers only brew one cup at a time so each cup you get is as fresh and hot as possible. The pour-over cone has become a trendy way to make coffee recently and it may be one of the more simple systems out there. These coffee cones usually come in porcelain or plastic versions and all you do is add a paper filter, then coffee and then pour hot water over it. Like with the single serve machine, you’re getting fresh, hot coffee by the cup. If you’re someone who loves strong, oily coffee and think paper filters are horrible, then the French press coffee maker might be the system for you. This is a simple system where you just add coffee to the press and pour hot water over it. You then use the press to push the coffee grounds down and away from the finished coffee. This type of coffee loses very little of the oils naturally present in coffee and gives you a much stronger-tasting cup. A similar method to the French press is the AeroPress. This brews a single cup coffee quickly like a Keurig, but yields a strong, roasty taste similar to the French press. The system allows coffee grounds to mix with the hot water for about 10 seconds, and then you press them through a microfilter for 20 seconds. This yields a remarkably smooth and dark cup of coffee, almost like espresso. 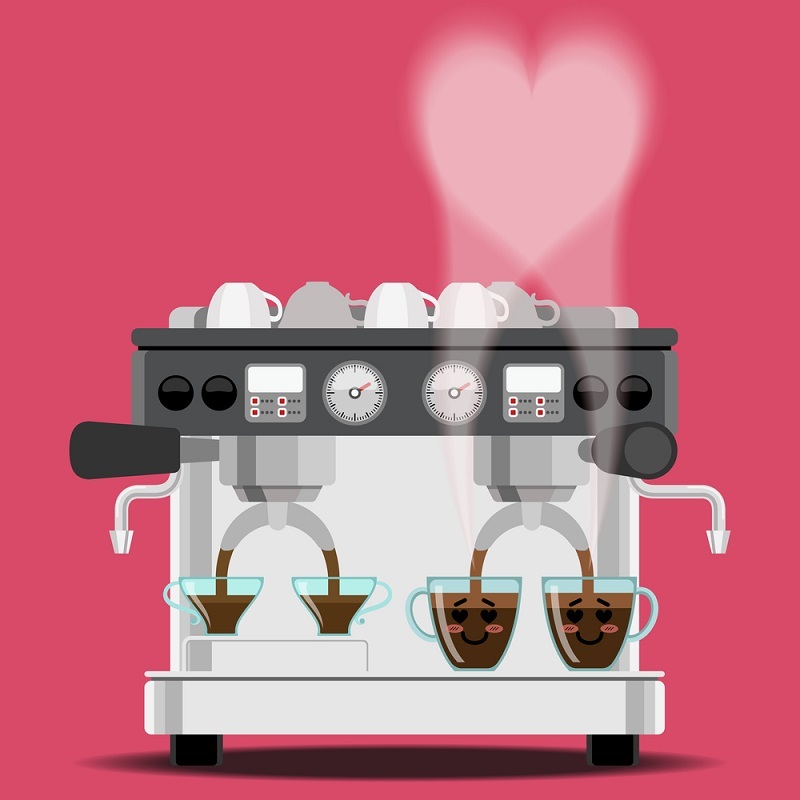 The vacuum or siphon coffeemaker has similarities to the Italian style stove-top espresso. You put this type over a burner on your stove and pressure forces the water from the lower chamber into the coffee grounds in the upper chamber. Once it’s removed from the heat, the coffee goes back into the bottom chamber for serving. Yet another method of making coffee is through the espresso style. This yields a very strong cup of coffee that tends to be more popular in Europe. Some ways to make this type of coffee include the automatic espresso machine, the stove top espresso machine and the Turkish coffee pot. Starting with the automatic drip system. For most of these coffee makers, the first thing you do is fill the water reservoir with the amount of coffee you want. It’s important to note that these measurements are in actual cup units, not the normal size of a coffee cup. So, for example, an eight-cup reservoir will probably only give you four cups of coffee. You then fill your filter with the desired amount of coffee depending on the strength you want. A common recommendation is for one tablespoon of ground coffee per cup, so eight tablespoons for eight cups. Push the start button and your coffee is done when it stops brewing. The Keurig system is super simple to use and probably why it’s so popular. Make sure the water reservoir is full, then insert a preportioned coffee cup and select your cup size depending on how strong you want your coffee. The newest Keurig 2.0 also gives you the option to select ‘strong’ in the menu for an even stronger cup. You can save on waste by using plastic filters that you add your own coffee to. The pour-over method yields a super tasty cup, but you have to make sure you’re doing it right. Place the filter cone on top of your cup and add a paper filter. You probably want to use about two to four tablespoons of ground coffee. Use hot water that is not quite to boiling and drizzle just enough over the grounds to coat. Let this sit for one to two minutes to extract and warm the grounds, then slowly pour more hot water into the cone until it fills up the cup. For an eight cup French press coffee maker, add eight tablespoons of coarsely ground coffee. Add hot, but not boiling, water to the pot to within about an inch from the top. Stir the coffee and water together with a spoon. Put the plunger back into the pot and turn it so it blocks the spout. Leave it to brew for about four minutes, and then slowly lower the plunger into the pot to separate the grounds. Once it’s at the bottom, you can turn the lid to open the spout and serve.